Courteney Donaldson is Managing Director – Childcare & Education, at business property specialists Christie & Co.  Having joined Christie & Co in the late 1990s, she qualified as a Chartered Surveyor in 2003, was invited to join Christie & Co’s corporate advisory team in 2006, and was subsequently appointed as a Director. Most recently, during 2017, she was appointed to Christie & Co's Executive Committee. Courteney has worked in the children's day nursery sector since 1999, providing valuation, transactional and consultative advice to operators, banks and investors. In one capacity or other, she has been involved in virtually every major UK day nursery portfolio transaction since 2006 and has been responsible for the establishment and growth of Christie & Co’s Childcare and Education team. 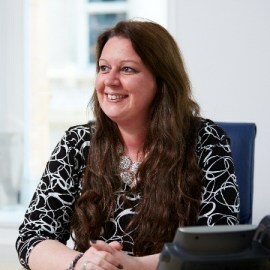 While known for her nursery sector knowledge, Courteney and her team also advise across other child-centric business sectors, including independent schools, private colleges, day and residential special educational needs schools, children's homes and foster care businesses. Alongside Courteney’s role at Christie & Co, and as testament to her expertise, in 2011 she was invited to join the board of the National Day Nurseries Association (NDNA) as a Co-Opted trustee.